If you are at all interested in architecture, it is possible you become obsessed with Luis Barragán’s work when visiting Mexico. Born in 1902 to a family of Catholic aristocrats, Barragán is the most famous 20th century Mexican architect. Besides winning the Pritzker Prize in 1980, his personal home and studio in Mexico City were declared a Unesco World Heritage Site in 2004. Famous of his colorful houses, Barragán’s work feels authentically Mexican. He painted his houses with bright colors such as pink, orange, turquoise, red and yellow, that is often connected to spirituality, but he never green. That, he said, he would leave to nature. On his travels to Europe, Barragán became influenced by modernism but eventually started resisting the idea of a functional house. Instead, he wanted to produce emotional architecture: spaces that were connected to nature, spaces that evoke feelings of serenity, spirituality and beauty along with housing our daily activities. Probably the easiest way to learn about Barragán’s life and work is to visit his home and studio in Mexico City. Book your tickets in advance to make sure you get in. We had not done that, though, but were lucky to receive a personal tour anyway. Located in the the old Tacubaya working class neighborhood, the house, although large in size, looks intentionally humble and anonymous viewed from the street. Step inside of the small front door, and you are put through a sensorial filter. With its natural light filtered through a yellow glass window, the small entrance hall was designed to prepare the senses for entering the house. The space is minimalistic with the only piece of furniture being a thick wall-mounted bench. Used materials, however, are generous to the senses: lava stone, wood, yellow tinted glass, and white walls with a rough Mexican finish. Throughout the tour, you feel your sensations amplified by the contrast between light and shadow, continuity and surprise, that which is concealed and that which is exposed, the floorplan being revealed one space at a time. Dark passageways open into bright rooms with high ceilings. Large windows combine living spaces with the wild backyard garden. You feel like you are in a jungle, far away from traffic and other noises of a major city. A narrow staircase leads into the gigantic yet unfurnished rooftop terrace that Barragán called his heaven. The passageway is said to be narrow because Barragán thought nobody walks to heaven side by side, we all go there alone. 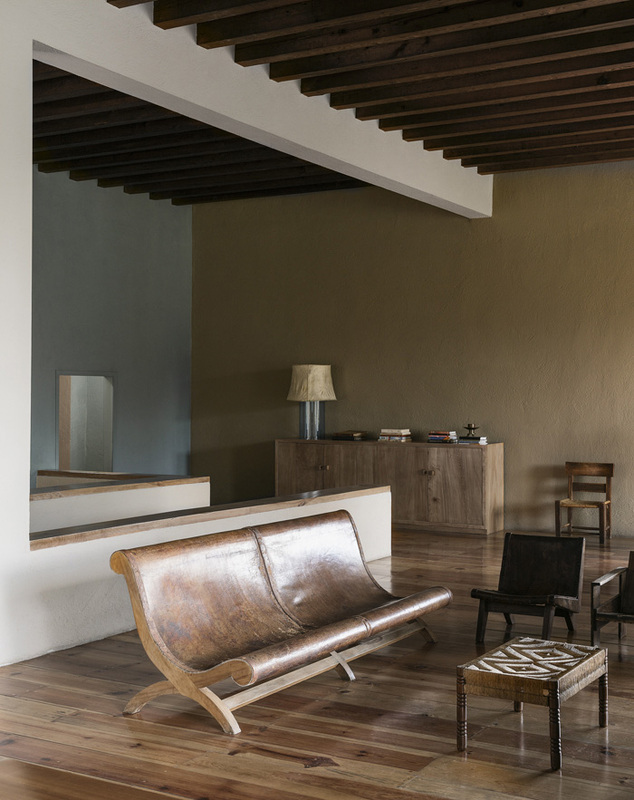 Barragán’s houses feature a lot of custom made furniture and lighting. You also begin to notice the large gleaming glass balls he decorated his spaces with. The architect preferred raw natural materials such as stone and wood. Leather is used in seating and lampshades. 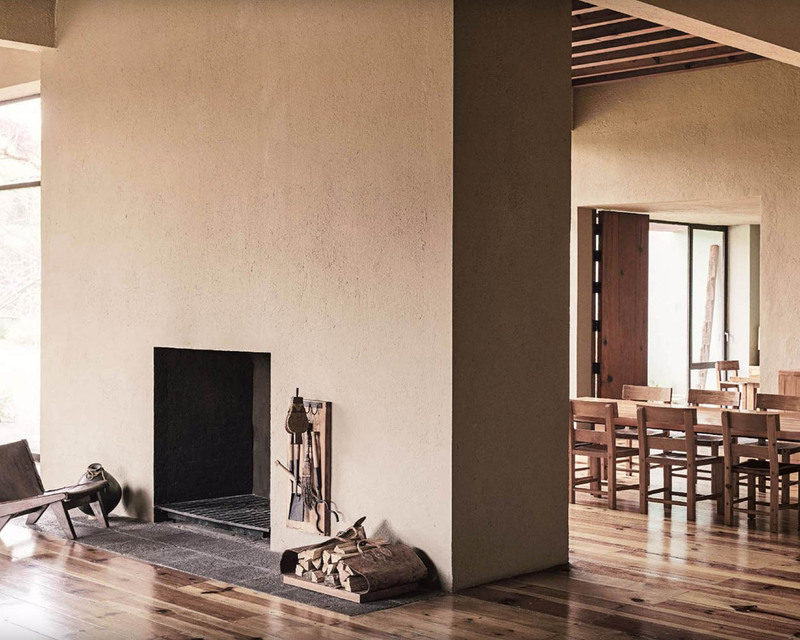 Native lava stone and Mexican pine are seen repeatedly in his spaces as well as beamed ceilings, that improve acoustics and create a sense of continuity. All woodwork is dovetailed and pegged. Barragán hated nails. In terms of lighting, the architect liked drama and contrast. Artificial light is always dim and concealed. Along with regular windows, natural light is filtered through textured or colored glass, and the placing of the windows is brilliant: you get light but you also get privacy. After all, it is difficult to relax and be yourself if you live in an aquarium. Where there is light, there is shade also, and Barragán was careful about how the light would naturally move with the sun – as well as the reflections and the lines of the shadows. This widely spread image had been on my moodboard long before I knew anything about the man. 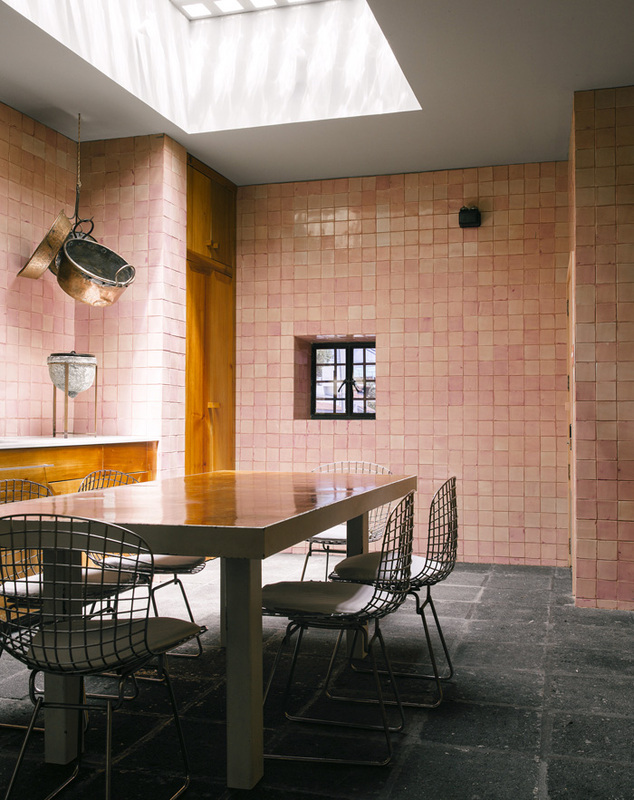 Barragán’s archive is owned by Vitra family and, in fear that Barragán will become the Frida Kahlo of architecture, it is highly controlled and protected. That is also one of the reasons why images of Barragán’s home and studio are not featured in this post. There is an interesting article about the history of the archive and how the architects remains became a diamond here and you can take an online tour of Casa Barragán here. What I most love though, is the feeling of the actual spaces, if not live, then at least in motion picture. 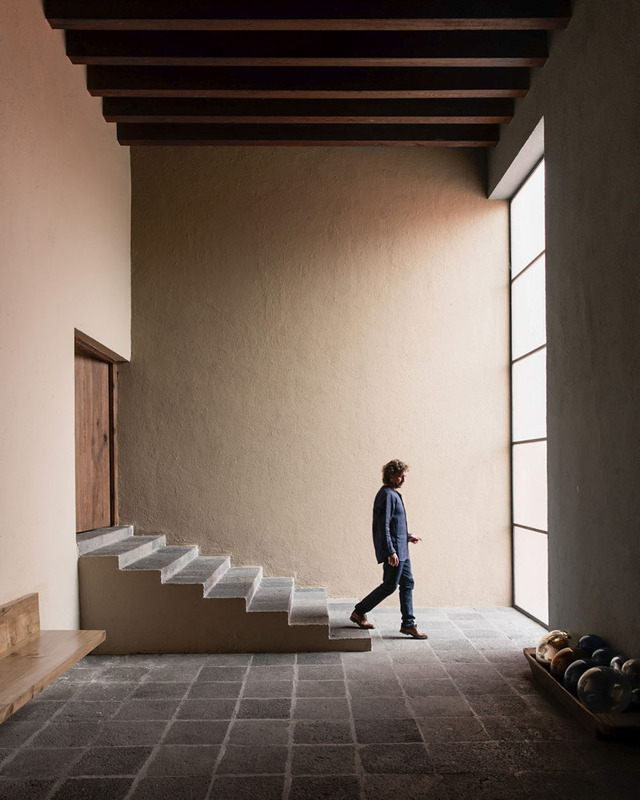 If you like, you can walk through Casa Pedregal here before entering the last house Barragán designed, Casa Galardi, captured beautifully on a film by César Pesquera for Nowness. 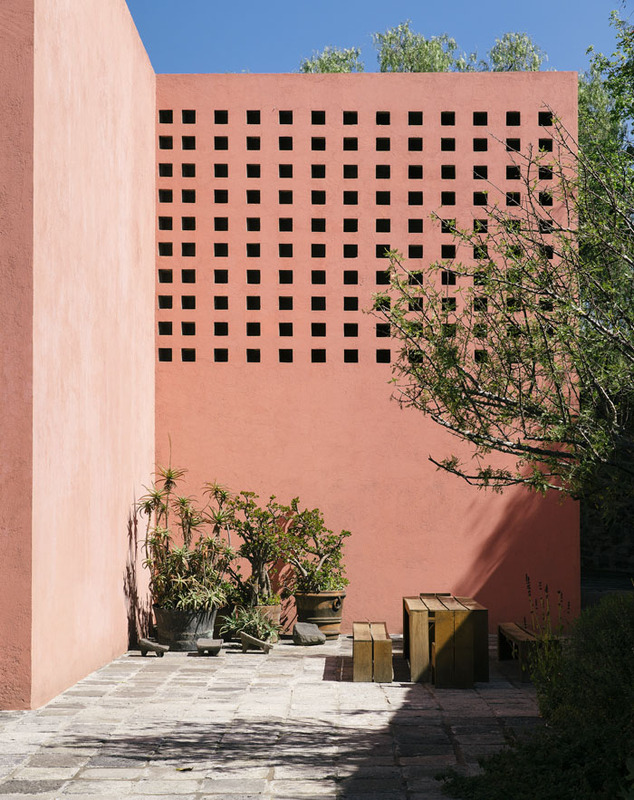 Pictured here is Casa Pedregal designed by Luis Barragán in the 1940’s and resently restored by current owner César Cervantes. Top two images published in Elle Decor Italia September 2016 issue, and the rest in AD France, in September 2017.